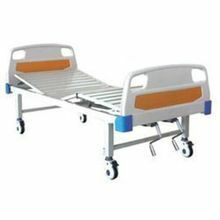 We Deal in all kinds of Hospital Furniture incl. 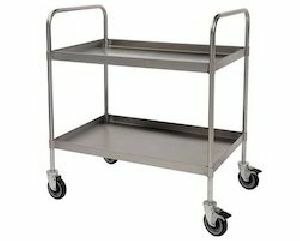 Trolleys etc. 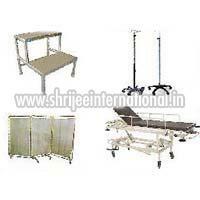 Kindly let us know your requirements and we are in a position to fulfill all your requirements. 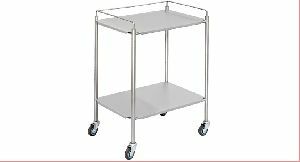 Tubular frame powder coated with two heavy S.S. shelves.Mounted as four castors 10cms.Protective railing on four sides on both shelves. 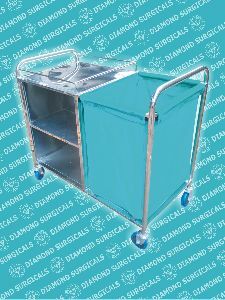 Size : 71W x 40D x 152H cm. 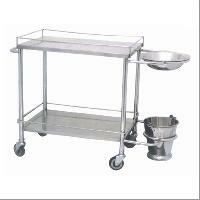 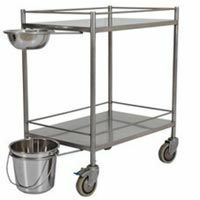 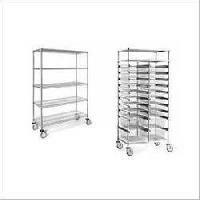 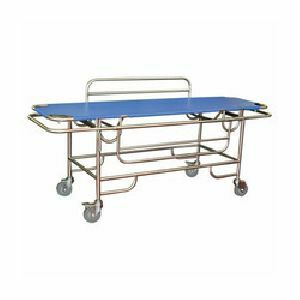 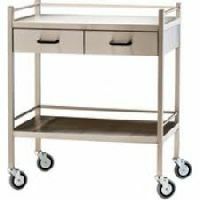 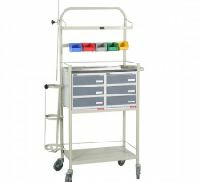 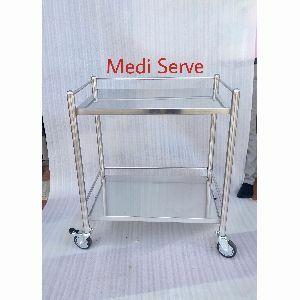 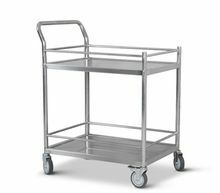 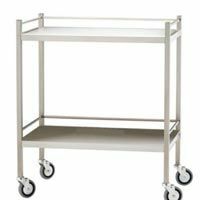 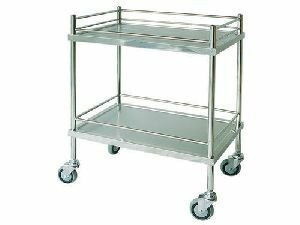 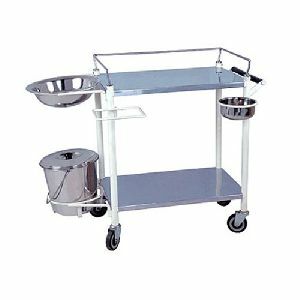 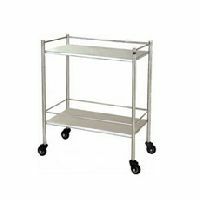 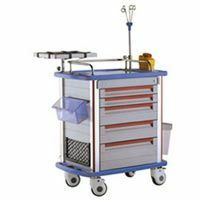 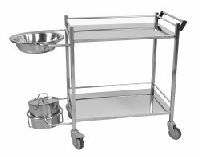 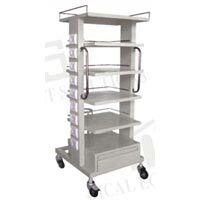 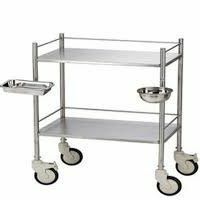 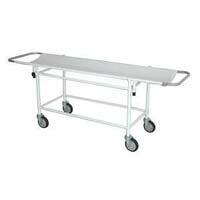 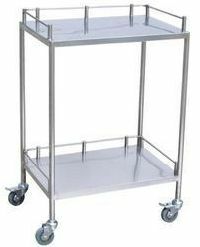 MEDICINE TROLLEY CR, ERW steel frame with six smooth running drawers. 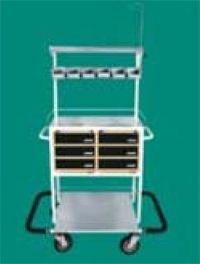 Mobile on 12.5 cm. 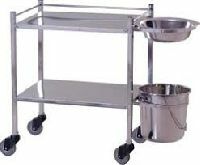 swivel castors with I.V. 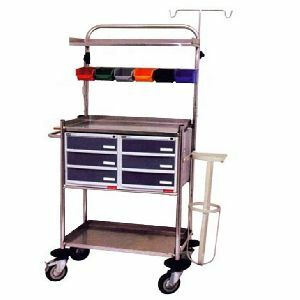 rod, lamp, massage board, six hand out bins, cylinder cage. Fixed with buffer rails. 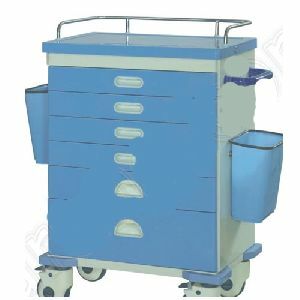 Pretreated, Epoxy finish. 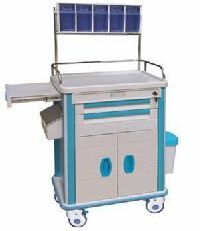 Height adjustable by foot operated hydraulic pump from 660 to 910 mm, X-ray permeable top with X-ray cassette holder, Telescope IV rod. 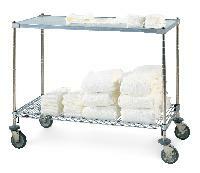 1) S.S. 304 Grade Tubular work. 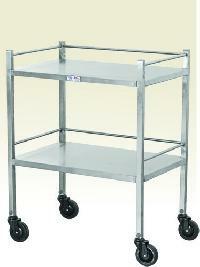 2) Trolley mounted on 125 mm Dia Nonrusting Castor, Two with breacks & Two without Brakes. 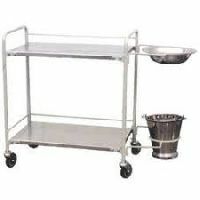 3) Trolley supplied with S.S. bucket and S.S. bowl . 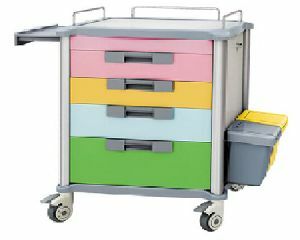 4) Complete S.S. in mat finish. 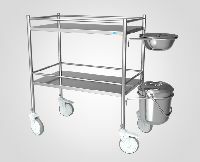 Hospital trolley Tubular frame powder coated with two heavy S.S. shelves.Mounted on four castors of 7.5cm. 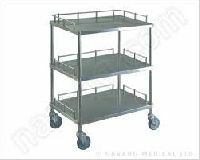 Protective railing on three sides on top shelf. 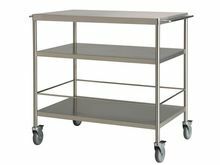 Three shelves, each with four side railings, two stainless steel drawers under the top shelf. 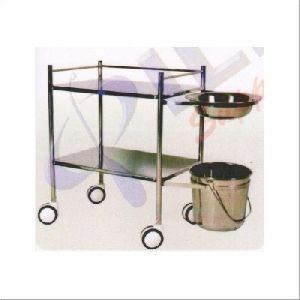 With 4pcs 3inch castors, 2pcs with brake, 1pc S.S bucket, 1pc Bowl, Robust construction and durable.